Benjamin Bergersen is an IT executive and cloud security expert. As the CIO for the U.S. Trade and Development Agency he transforms IT services for a global federal organization utilizing a hybrid strategy of cloud services, shared services, and in-house solutions. Under his security leadership, MAX.gov Cloud Shared Services Cloud at the White House / OMB transformed with continuous monitoring and enterprise risk management across software development through to operations. Cyber security, DevOps, and agile development were melded to provide wikis, portals, discussion groups, and other social media to government in a secure, reliable, fast manner. Combining agile development with the latest cyber security methods helped increase MAX.gov adoption from 80,000 to 175,000+ customers across 180+ federal agencies. By implementing Department of Defense (DoD) Protection Levels and working with the Joint Staff, Benjamin expanded MAX’s adoption across the DoD. MAX.gov is the first federal agency Software as a Service (SaaS) Federal Risk and Authorization Management Program (FedRAMP) authorized cloud service provider. He received the Government Information Security Leadership Award (GISLA) from (ISC)2 for best information security business process improvement. 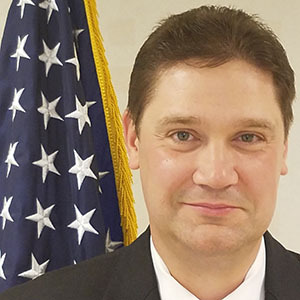 As the Chief Information Officer (CIO) for the Office of Inspector General in the Department of Commerce Benjamin provided collaborative nation-wide services for mission security and assurance. This included developing technology services to accelerate and enhance the capabilities of the special agents, auditors, and attorneys to perform investigations and audits nationwide in five operating locations. There he designed and implemented new IT performance measurements, technologies, virtualization, clustering, high availability, cyber security systems, customer relationship management (CRM) systems, workflow management services, and collaboration portals. He received a Commerce Bronze medal and a GovTek Executive Collaboration award for building a great CIO office and delivering IT mission services. As the Information Security Program Manager in the U.S. Antarctic Program for the U.S. Navy and the National Science Foundation (NSF) he got A+ grades two years in a row for information security as rated by U.S. Congress. Benjamin created the Chief Information Security Officer (CISO) executive education and graduate certificate program at Carnegie Mellon University’s Heinz College, CIO Institute. Benjamin holds multiple cyber security and governance certifications including CISSP, ISSAP, and ISSMP from (ISC)2, and CGEIT, CISA, and CISM from ISACA; His education includes an MBA from George Mason University, a Bachelor’s of Science from SUNY Brockport, and is a certified CIO by the U.S. Federal CIO Council / CIO University.